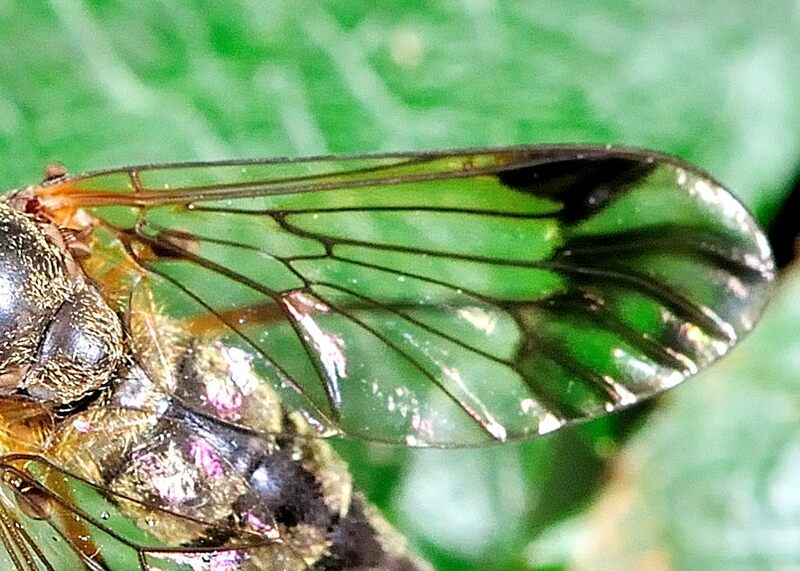 This page contains pictures and information about Patterned-wing Snipe Flies that we found in the Brisbane area, Queensland, Australia. This fly is large in size as a Snipe Fly. 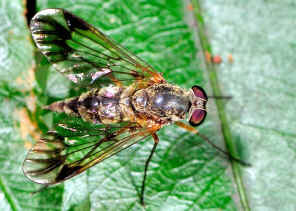 It is easily recognized by the apical patterns on wings. 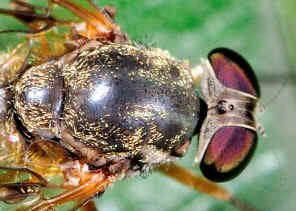 The head is black in colour with thorax and scutellum in dark brown. Halteres are in yellow to brown with yellow corners. 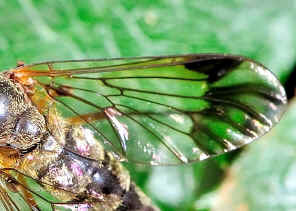 Wing vein R2+3 is not round at apex but forming a distinct acute angle with the costa. 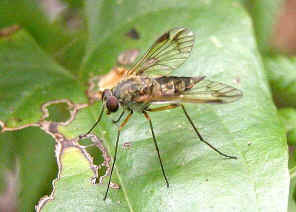 The abdomen is long in conical shape, dark brown in colour, covered with yellowish hairs laterally in hind corners. 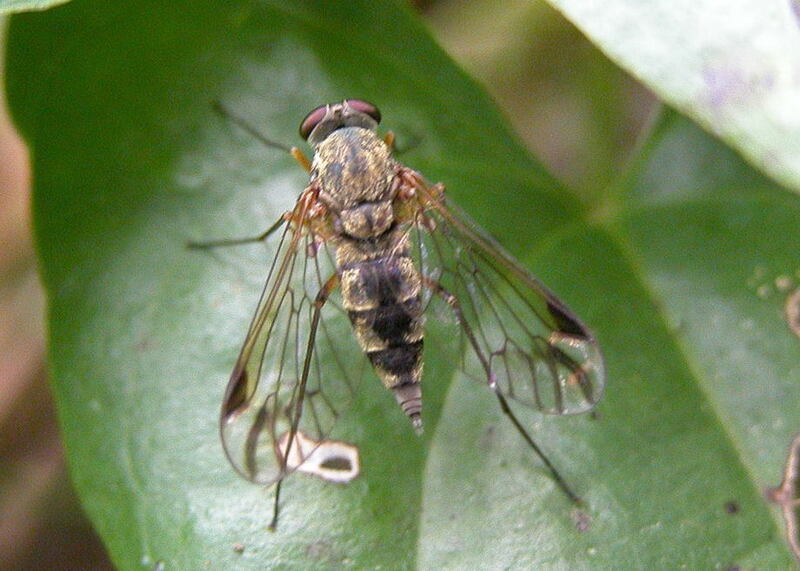 Above pictures were taken in rainforest near Mt Nebo during mid-summer. 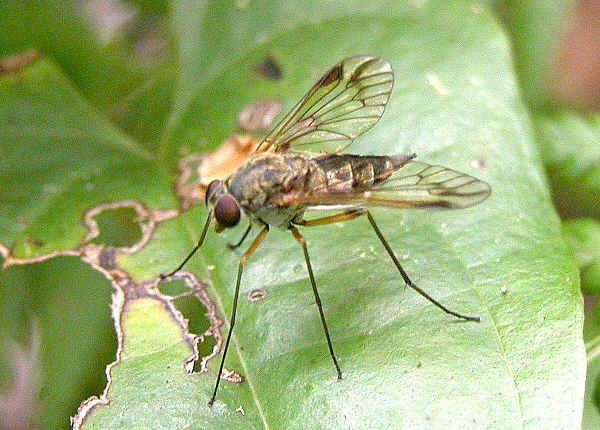 Found this Snipe Fly again on Mt Coot-tha near the Simpson Fall on Feb 2012.